The dilemma of manufacturers especially designer's luxury goods that usually sell at hundred or thousand of dollars for their quality of product brands being knocked off by pirates who reproduce and sell at ridiculous cheaper price tag. And they're every where around the world with the brand labels on the pirated products. One of the best way to fight this problems probably is to teach consumer and the pirate itself about the authenticity of the designers' original products. Here a designer of a famous brand expose a video on how their goods being designed and produced just to teach us the quality product with quality materials used and the fine made. 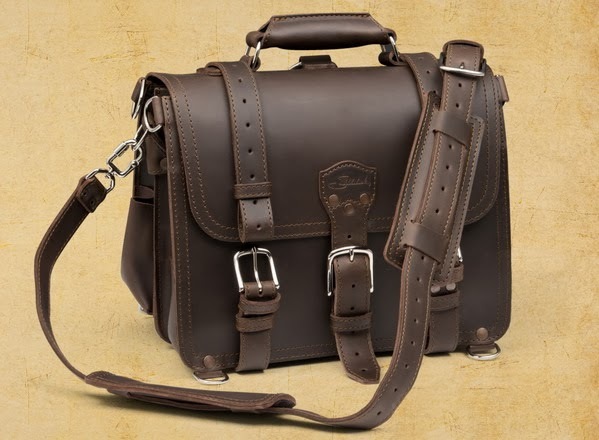 Watch how Saddleback Leather's designer (Dave Munson is the company's CEO in this video) Teach Pirates How To Knock Off Their Luxury Bags.